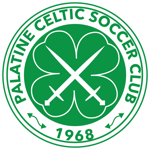 Palatine Celtic Partners with Celtic FC! Read news about our international partnership with Celtic FC, Scotland! Celtic Travel Tryouts Are Coming! Find out more information now! 2019 Celtic Summer Camps! Register Now! Join Our 3-4 Year Old Program! The Celtic Journey begins with Mini Celtic for 3-4 year olds. Sign up now!